There are no bad photographs in Iceberg Alley. Look out from the coast of Twillingate, New World Islands. 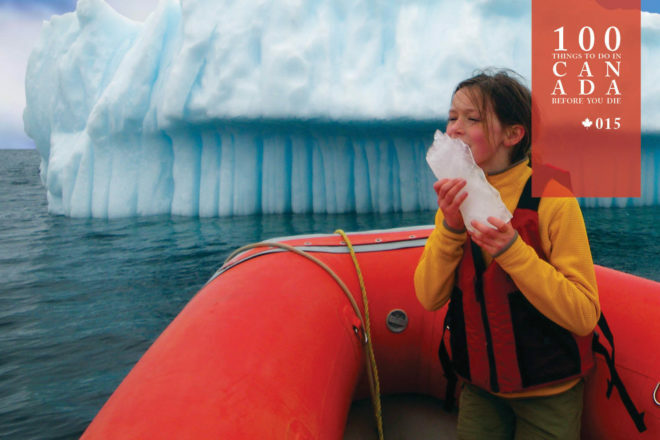 The taste of Canada's Iceberg Alley. 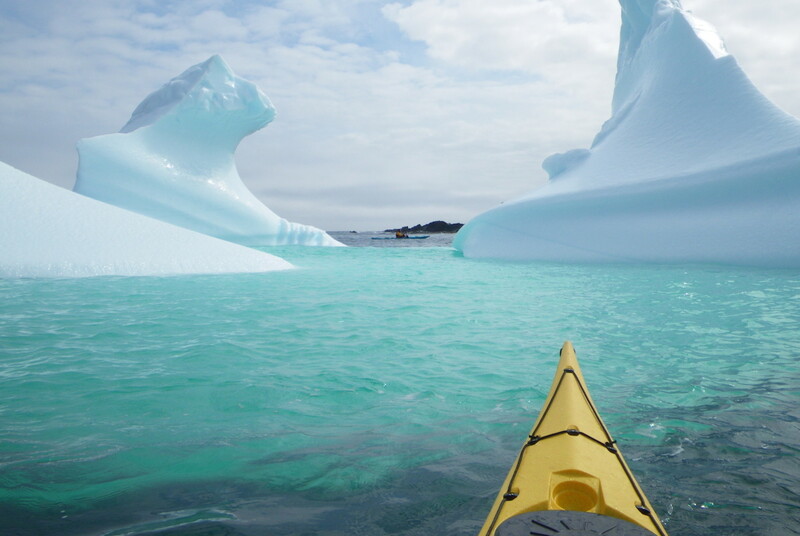 A kayaker ventures into Iceberg Alley. 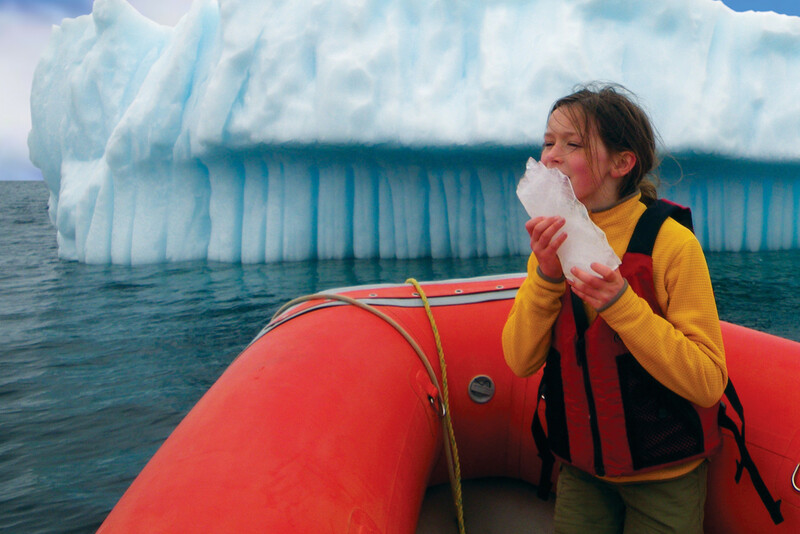 See icebergs of every hue and shape in Canada’s awesome Iceberg Alley. Remember the old cliché that held there were 50 different Inuit words for snow? The claim has been largely debunked, but as you watch giant mountains of ice and snow, forever changing their colour and shape, drifting south from the Arctic through Iceberg Alley, you’ll wonder if it might just be true. 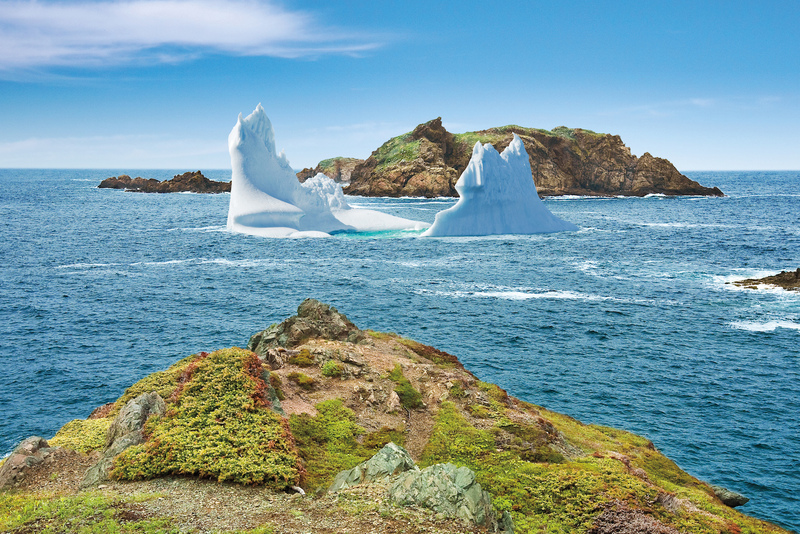 Iceberg Alley, a thin strip of sea between the Canadian mainland and the island of Newfoundland, is one of the few places in the world where you can watch migrating icebergs (and humpbacks and arctic birds) from the shoreline, from sturdy launches, or, if you’re so inclined, from kayaks. There are numerous tour operators who will find an iceberg for you, and some may even fish a fragment of a 10,000-year-old berg from the sea for you to taste! There is an online resource that all are welcome to use. 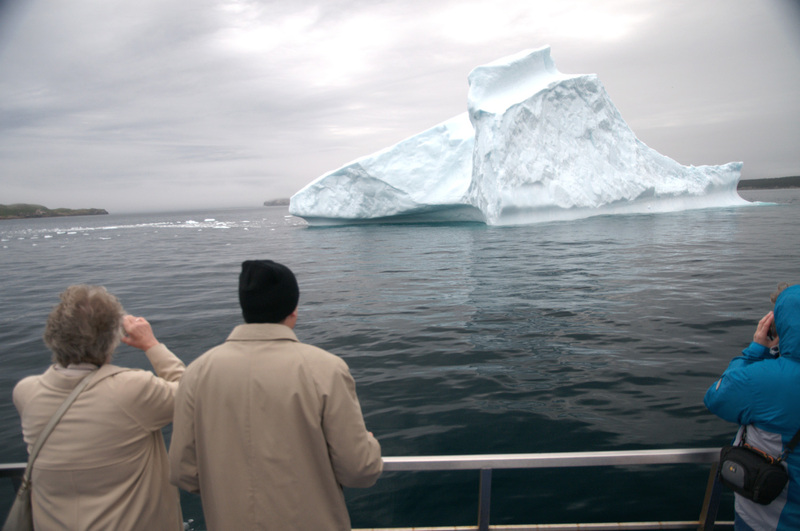 Track down a berg in Iceberg Alley from May to July with icebergfinder.com. For more, go here. Iceberg Alley lies on Canada’s eastern-most tip and stretches south along Labrador and Newfoundland.